Finchers next project in trouble | JAMMSBRO '+g+"
Directing supremo David Fincher's next film is in jeopardy already as Paramount have let the rights to the project slip. The project is called Ness and was based on the graphic novel Torso that told of the years after FBI agent Eliot Ness was finished with Al Capone and the Untouchables. Torso was about a serial killer whom Ness was tracking that only left the victims torso behind. Now is seems that paramount have let the rights to the novel slip and no longer retain them. In many legal bindings if a project is not fulfilled within a certain time period then the rights will slip back to the original owner, this is to ensure someone doesn't buy the rights with no actual intent of producing the film. The most famous of these incidents is when the fantastic four rights were about to slip in 1994 Constantin films produced an ashcan copy of the film for under $2 million with no intention of releasing it so they could retain the rights for a future production. 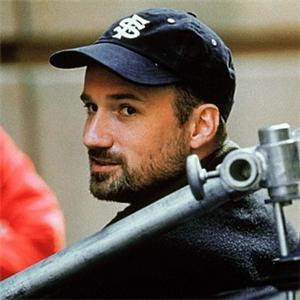 I don't know if Fincher doing a third serial kille movie is really his best move but i think they guy is so damn talented that i'd pay to see anything he has made.